If there is an issue with installation of Acronis Backup, it may be useful to create an installation log and send it along with your request for support. 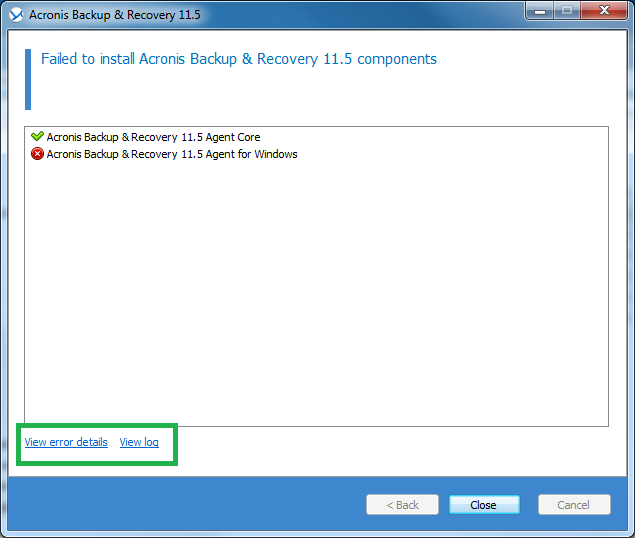 Acronis Backup creates the log automatically. 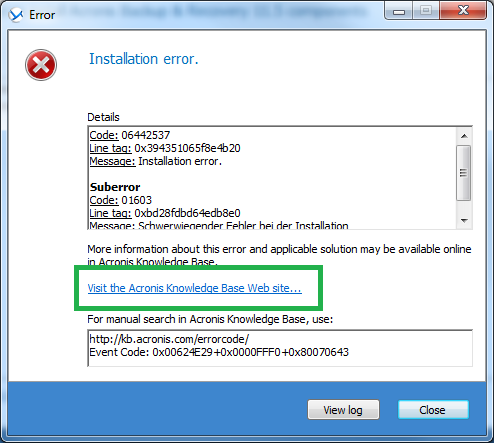 When clicking the link to Acronis Knowledge Base, you will be directed to a corresponding article if available. It is recommended that you copy the complete Event Code from the text box below the link into your support request. 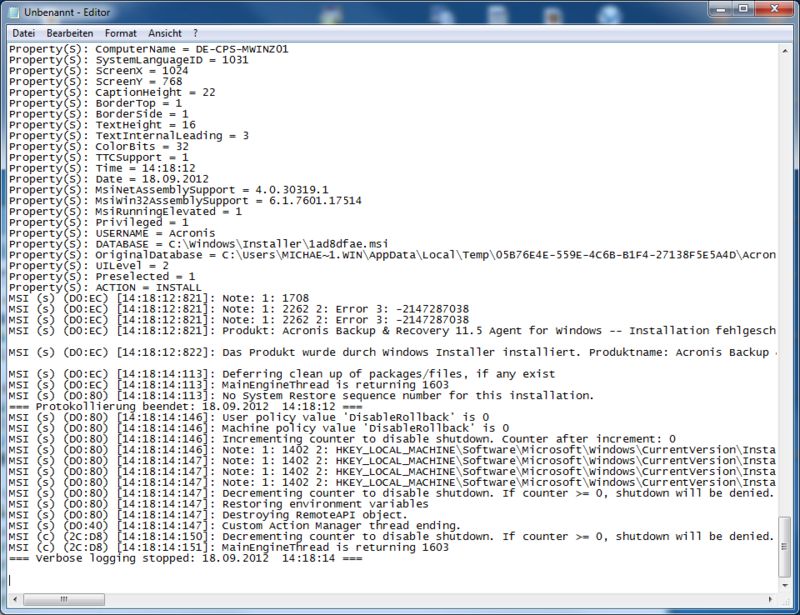 This is done to improve our Acronis Smart Error Reporting for our Customers. It is recommended to save the log (File -> Save as...), so that you can send it to Acronis Customer Central with a support request. In most cases it is recommended that you also send a Windows System Information File along with the installation log.